Recently, government workers at the state Capitol in Albany peeked into their own attic storage space an uncovered a treasure trove of historical items including a slave bill of sale, 1813 portrait of George Washington and many items that former New York Governors Theodore and Franklin Roosevelt would take with them to Washington. These objects were collecting dust sitting in boxes until they were unearthed and put on display. Now visitors to the Capitol can take in a finer appreciation of New York history. There’s simply no telling what you might find up in your own attic. If you’ve moved into an old home with an attic there could be some amazing “surprises” left behind by the previous occupant. Of course, if you started with an empty attic then you probably know exactly what is up there. Perhaps there are some keepsakes and mementos that you want to put on display. Or maybe it’s just a bunch of junk. 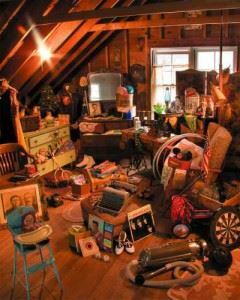 It’s understandable if junk ends up in your attic. After all, it is storage space and “out of sight, out of mind,” right? The problem is that you might need that space for more important storage items. You could even consider converting that attic into a viable space for an office or spare bedroom. To accomplish that goal, you’re going to need some help from Junk King Capital District. These would be the junk removal pros that will be sending over a very capable team to assist with your attic junk. By “assist” we mean climbing up and down those stairs for however many trips it will take to clear out the attic. That might have been one of the things stopping you from clearing out the attic in the first place but it will no longer be an issue with Junk King on the job. Those same workers will be taking all of that junk and loaded it onto the back of their huge moving truck. That’s part of the complete Junk King package as well. This affords you the opportunity to get rid of any size item from headboards to sofas to pianos. Although you might want to initially hire Junk King Capital District to remove all your unwanted items from the attic, they don’t have to stop there. They can also go to any other area of your home where you’re keeping something you want thrown away. This also applies to your yard as the Junk King crew can load up any kind of outdoor debris. Don’t ignore what’s up in the attic. Let Junk King help clear it out for good! This entry was posted in Albany Furniture Disposal, Albany Junk Hauling, Albany Junk Removal, Junk King Capital District and tagged Albany Attic Junk Removal, albany ny junk removal on October 31, 2013 by Todd Porter. Last updated August 1, 2017 . The Albany branch of the MillerCoors brewery company recently had some very exciting news to share. They have become the sixth brewery in the company to go totally landfill free. This means that the 40 tons of waste that they producer every month is now being diverted away from local area landfills and instead being reused and repurposed. The last bit of trash that is part of this equation is shipped off to a facility in Panama City that converts trash into energy. “We need a successful recycling program and that’s what we installed. We’ve got a re-use program, we had to find folks who would take some of our recycled goods that then they could further recycle and reuse,” said Albany MillerCoors Vice President Tim Dill at a company press event. Even though it might appear that going 100% landfill free is going to cost the company more, they claim the benefits outweigh the costs. When it comes to getting rid of trash that is a pretty good attitude to have. How would you categorize your “trash attitudes?” Are you keeping up with your own home recycling program? It’s not that hard to sort out paper and plastics to make sure they end up in a recycling bin. The more important question is what will you do with the bigger items like broken kitchen appliances or a bed? You can still keep your carbon footprint low and get rid of those kinds of things when you hire a company like Junk King of the Capital District. Just like the MillerCoors Company, Junk King has dedicated itself to be extremely eco-friendly for Albany NY. They strive to make sure the vast majority of what they collect is also diverted away from landfills. That policy can apply to those old bedroom sets and mattresses you’re itching to get rid of. When you hire Junk King you’ll have a capable crew of two experience movers and a huge truck at your disposal. That crew will be happy to carry your bed down the stairs and out the door. If you’ve already dragged that bed out to your garage or into the cellar then the Junk King crew will go there to take it out. In other words, wherever you’ve got junk is where Junk King is going to go. After that junk is loaded up on the back of the truck, Junk King will be making the rounds of the local recycling centers. There is no need to tell them that you would like your stuff to be recycled. The Junk King crew will be doing that automatically without any additional charge. 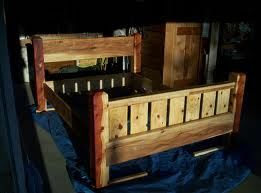 You’ll sleep soundly on your new bed know that Junk King did the right thing with your old bed! This entry was posted in Albany Appliance Disposal, Albany Furniture Disposal, Albany Junk Hauling, Albany Mattress Disposal, Furniture Donations Pickup, Get Rid of Junk Albany and tagged Albany bed pickup on October 21, 2013 by Todd Porter. Last updated August 1, 2017 .